ATLANTA (Oct. 2, 2015) – Furthering its commitment to join other businesses and organizations in the movement to reinvest in Atlanta’s Westside neighborhood, Chick-fil-A today unveiled plans to open a new restaurant in Vine City. The announcement was made at the Council for Quality Growth’s annual Four Pillar Tribute, where Chick-fil-A President and CEO Dan T. Cathy was recognized for joining other Atlanta business leaders in the revitalization of the Westside community. The restaurant will be adjacent to Walmart and located at the corner of Martin Luther King Jr. Drive and Lowery Boulevard. While the restaurant is still in the early planning stages, Chick-fil-A anticipates the 4,000-square-foot location to open in early 2017 and create a minimum of 50-60 new job opportunities for area residents. While Chick-fil-A has more than 130 restaurants throughout metro Atlanta, the chain sees the Vine City location as an opportunity to expand its portfolio on the west side of the city. The new location will contribute to the substantial economic development of the area that already is underway, while helping to both fill a void of limited restaurant options within the neighborhood and offer a potential catering hub to serve Atlanta businesses. In addition to the new restaurant, Cathy highlighted a $300,000 donation the Chick-fil-A Foundation made to the Westside Future Fund within the last week. The initial gift was announced at a Sept. 25 meeting with the Atlanta Committee for Progress and will be used to help the Westside Future Fund develop a master plan for the community by studying the issues in the neighborhood to create informed, long-term solutions. City of Refuge: Numerous groups of Chick-fil-A, Inc. employees have volunteered in small and large groups efforts, such as working the community garden, painting rooms, school supply drives, and a “dress for success” drive to collect black dress pants and blazers for job interviews. City of Refuge also received an inaugural True Inspiration Award grant from the Chick-fil-A Foundation in 2015. Additionally, all new employees at Chick-fil-A, Inc. visit and tour City of Refuge as part of their orientation, in order to raise awareness of the needs in their own backyard. 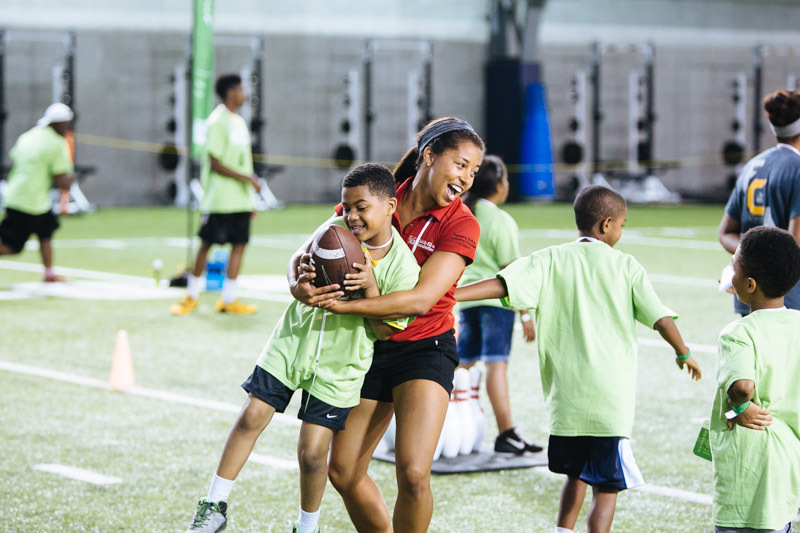 Sports camps for kids: Since 2012, the Chick-fil-A Foundation has hosted free summer programs on the campuses of Morehouse College and Clark Atlanta University for more than 1,000 children in the Westside community. The camps teach leadership principles and expose children to the idea of college education. 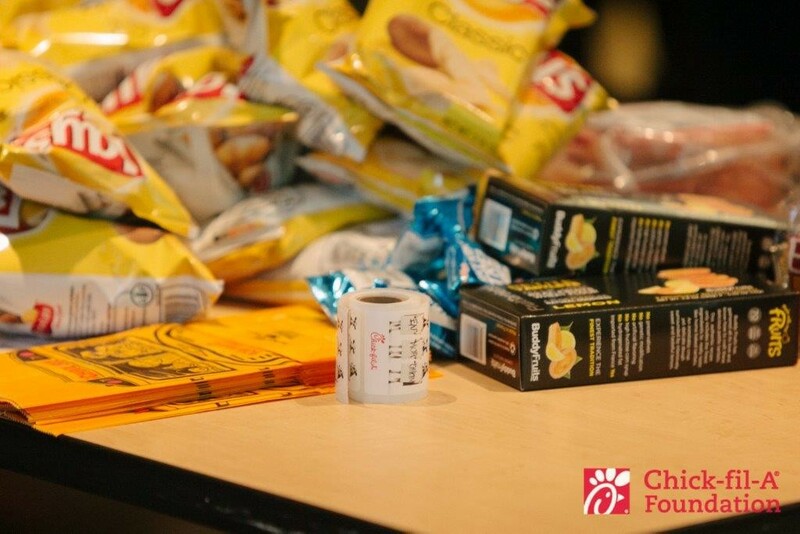 Action Ministries Smart Lunch, Smart Kid program: During the summer of 2015, Chick-fil-A, Inc. employees packed 3,000 meals, which were directed to the children on English Avenue and City of Refuge. Friends of English Avenue: Chick-fil-A, Inc. employees have partnered with Friends of English Avenue to coordinate small group volunteer projects, such as community garden clean up and school supply donations. Washington High mentoring: Between August 2012 and May 2013, Chick-fil-A staff mentored 50 students at Booker T. Washington High School, including every high school senior participating in the Early College Program. Employee volunteerism: Since 2013, 764 Chick-fil-A staff have served 2,763 hours in this community. Atlanta-based Chick-fil-A, Inc. is a family owned and privately held restaurant company founded in 1964 by S. Truett Cathy. Devoted to serving the local communities in which its franchised restaurants operate, and known for its original chicken sandwich, Chick-fil-A serves freshly prepared food in more than 1,950 restaurants in 42 states and Washington, D.C.